Mustard is a condiment made from the seeds of a mustard plant (white or yellow mustard, Sinapis hirta; brown or Indian mustard, Brassica juncea; or black mustard. If you’re allergic to mustard, your body reacts to the proteins in the food product as if they are unsafe. Although the proteins are harmless to your body, your immune system overreacts as if it is under attack. The body responds by creating IgE antibodies, complex proteins that are intended to fight against the mustard proteins, by producing histamine. Histamine causes swelling and inflammation in soft tissue in the body, leading to common symptoms (Marks, 2013). Commonly paired with meats and cheeses, mustard is a popular addition to sandwiches, salads, hamburgers and hot dogs. It is also used as an ingredient in many dressings, glazes, sauces, soups and marinades; as a cream or a seed, mustard is used in the cuisine of India, the Mediterranean, northern and southeastern Europe, Asia, the Americas, and Africa, making it one of the most popular and widely used spices and condiments in the world (Wikipedia, 2013). 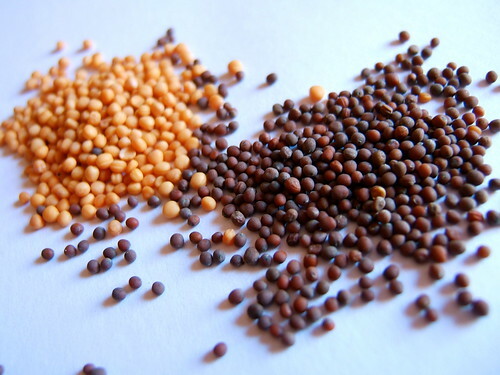 Here is a link to a very informative website dealing with mustard.